For years now, medical professionals have debated the pros and cons of caffeine and pregnancy. The good news is that most now agree that a moderate caffeine intake presents a minimal risk to a growing fetus. In other words, caffeine and pregnancy can coexist in a healthy pregnancy. 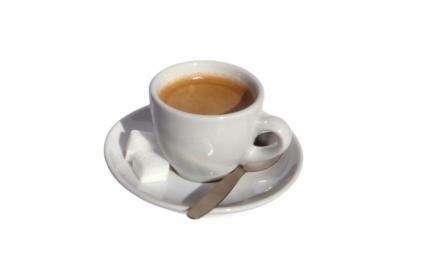 Caffeine is a natural stimulant present in a variety of foods including coffee, tea, soft drinks, and chocolate. Certain medications, such as allergy and cold remedies, may also contain caffeine. Under most circumstances, caffeine enters the nervous system within fifteen minutes of consumption. It can then increase your blood pressure and heart rate and can cause heartburn. Caffeine can also increase the need to urinate; therefore, it decreases the natural fluid levels in the body. This is of particular concern to pregnant women who need to remain hydrated as much as possible. What Constitutes Too Much Caffeine? According to WebMD, caffeine and pregnancy do not mix. Caffeine is actually a great deal like alcohol as everyone processes it at a different rate. One person can act drunk after drinking one beer, while another can drink several and not seem to have any obvious impairments. However, as a general rule, more than 300 mg of caffeine a day is considered too much. For those who enjoyed freshly brewed coffee every morning, limiting their intake to one or two cups, depending on the blend, is sufficient. The best way to keep track of your caffeine consumption is to read the packaging label, which includes the caffeine content per serving, then mentally or manually calculate the milligrams you intake as you go through your day. Pregnant women may find kicking the caffeine habit easier than they expected. Many women find the strong odor of a freshly brewed cup of coffee unbearable as queasiness sets in. If this is not the case with you, consider switching to decaffeinated drinks, such as lemon-lime soda as opposed to a cola or decaf coffee rather than an expresso. Tea drinkers can also reduce the caffeine in their diet by steeping tea bags for half the time or shopping for no caffeine or low caffeine blends. If you find going cold turkey creates withdrawal symptoms, such as headaches and fatigue, consider cutting back your caffeine intake gradually. Caffeine and pregnancy need not be enemies, provided you are aware of the risks and limit the caffeine in your diet. This means educating yourself to the products that contain caffeine and carefully monitoring how much caffeine you consume and how it affects you and your baby.